My New Heartbeat: Mommy's Favorite "Mega Bloks"
With temperatures about to reach 100 degrees here in good ol' KY, I am so glad I purchased this giant bag of my latest "Mommy's Favorite Things" to keep CeCe entertained in the A/C when the backyard is not an option. 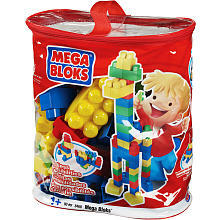 "Mega Bloks" have provided us with hours of entertainment lately. They are exactly what they sound like: Oversized blocks, Lego-style, for little hands to stack and build whatever their toddling brains can imagine. 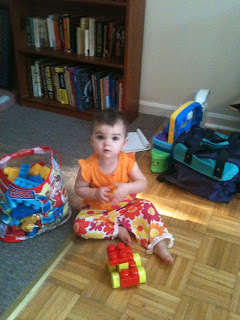 While they do become a tripping hazard (for mommy), the big bag they come in makes clean up and storage a breeze. The pieces are too big to be a choking hazard and are easy to clean. 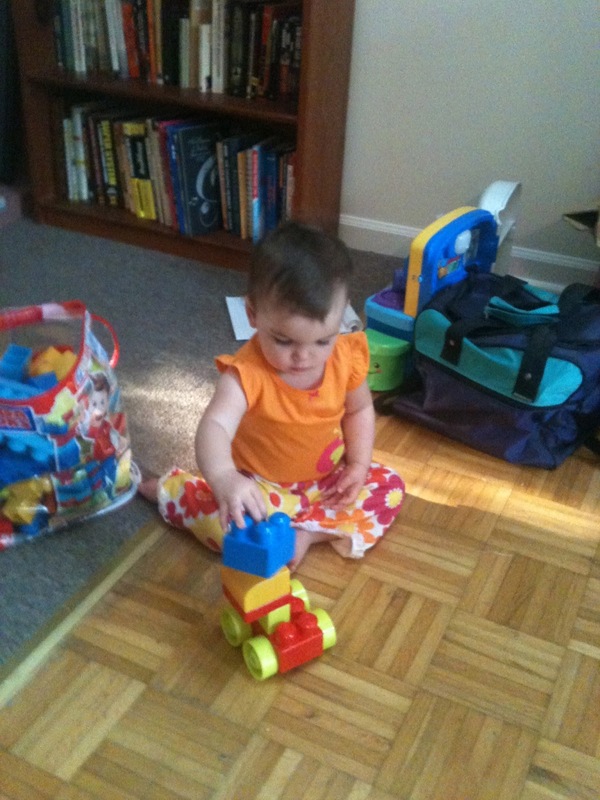 I love this product because it exercises fine motor skills to connect the pieces. Better than that, CeCe is using her imagination. 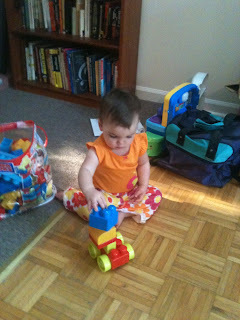 Most of the time she just builds beautiful walls, but I can see these toys lasting for a looooong time. I bought our Mega Bloks at Target on sale for $18. There are two different color sets for "boy" and "girl" Mega Bloks, but I opted for the "boy" set. I see no reason my future architect think the world is painted solely in pastels. P.S.- You can follow me on Pinterest to see my "Baby Things" Board! Just click the Pinterest button in the column to the right, or click here!